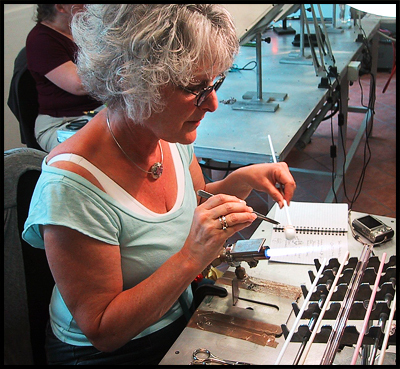 Terry Henry studied art and science at San Jose State University, took her first flame working class in 2005, and immediately fell in love with making glass beads and components. Terry uses her glass components to create unique and one-of-a-kind wearable art. Terry has taken many classes from a wide array of expert instructors across the country as well as studying and living in Murano, Italy. Terry has won awards for her jewelry, taught and designed for Fenton Studios, and has written tutorials for and has been published in a major bead journal.